Each year, millions of people pay their respects to the many men and women who have lost their lives during conflict. Remembrance Day events are usually broadcast on live television – particularly those taking place in London – and attended by huge numbers of people paying their respects. But even the smallest of gatherings can be extremely moving; perhaps even more so. 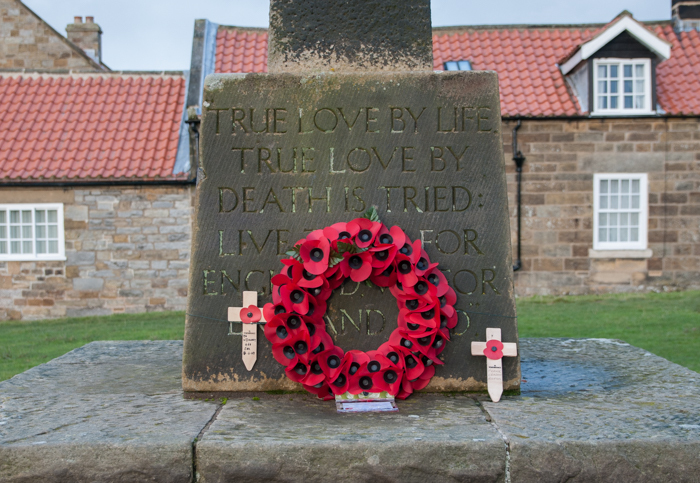 I was visiting grandparents in Goathland in November 2010, on a weekend which coincided with Remembrance Day. 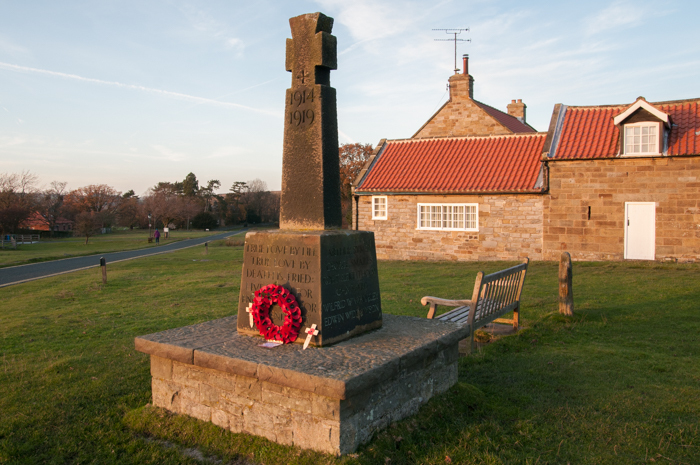 The congregation of the local parish church was quite elderly, and before the main Sunday morning service at the church, there was a short service carried out by the vicar at the war memorial in the centre of the village. Standing under rainy skies, I glanced around at those present, realising that almost all of the men and women stood alongside me would have been alive during WWII, and likely old enough to have many memories of the period during which the nation was at war. Some were widowed, and others have sadly died in the years since. To be in their presence, while remembering the end of the conflict and paying respects to those who lost their lives in protecting the country and its people, was very humbling experience. As we fall silent to remember those no longer with us, it’s important that we also stop to appreciate the efforts and bravery of those who are still alive today.